What is the best cat food on the market? After assessing more than 2,000 formulas, we’re happy to recommend 18 of the best cat food brands, both wet and dry. The best cat food will keep your cat healthy and happy, and will come in a flavor he or she loves. Any high-quality food needs to feature protein front-and-center, and won’t include any low-quality fillers, artificial additives, or ingredients that are toxic to cats over time. To find the most high-quality options available, we scoured the formulas of over 2,400 dry and wet cat foods on the market, read through research and regulations, and talked to veterinarians about what cats need to thrive. In the end, we identified a shortlist of the best cat food brands and lines that you can count on. Now it’s up to you to figure out what flavors sit well with your cat’s preferences and to find the food that fits your budget. If you’re having trouble deciding between a wet or dry food diet, or you want more information about our top picks, check out our comparison tables and guide to cat food types, below. 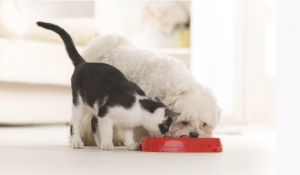 Is It Safe For Dogs To Eat Cat Food? Cats and dogs have different dietary needs, and should eat food specific to their species. Though these differences in diet may not seem that significant, the higher percentages of protein and fats mean more calories for your dog for the same sized portion of cat food. These richer feline diets can lead to weight gain and even obesity if eaten for extended periods of time. Also, as a dog’s gastrointestinal system was not designed to digest consistently high-fat foods, cat food can upset the stomach resulting in vomiting and diarrhea. Too much fat can negatively affect a dog’s pancreas, leading to pancreatitis, which can at least impact the efficiency of their digestion and at worst have serious health consequences. Some of the newer cat foods contain an improper balance of vitamins and minerals for your dog, and this may lead to either deficiencies or excesses of these ingredients. As an example, cat food typically contains less zinc and vitamin E than dog food. Cat food also usually contains added taurine, something that dogs do not need in their diet. 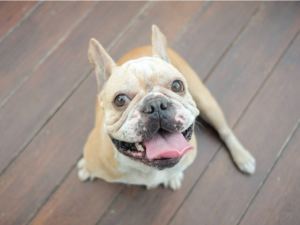 These nutritional differences can affect your dog’s overall health over a long period of time. Cat food is richer and can cause your dog to become overweight or obese. Dogs also need more carbohydrates than cats and often will not get the energy they need without these ingredients in their food. Dogs can consume a diet containing almost 50 percent carbohydrates to give them energy, while a cat gets the majority of its energy from fats. The higher protein content of most cat foods can pose a metabolic threat to an older dog, especially one that has kidney disease, liver disease or diabetes. A proper dog-specific senior food should be fed to older pooches or a specific prescription canine diet should be fed to dogs with medical conditions. One question that I am commonly asked, “Is it bad for my dog if it occasionally has some cat food as a snack?” This should not be any worse than if your cat has an occasional doggie biscuit. However, for optimal pet health, I would not recommend incorporating the other pet’s food into your pet’s diet — and instead do all that you can to feed each species of pet its species-specific diet. So as it relates to dogs, ideally I recommend feeding your pup food designed for dogs to avoid health issues. Just to note, feeding a feline dog food is not advised. Dog foods have been and some continue to be deficient in taurine – an essential amino acid required for cats either not found in some dog foods or not at adequate levels for felines. Arachidonic acid, a fatty acid that cats need, is also often not found in dog food. Other unique nutritional needs of felines are that they cannot synthesize enough niacin, arginine, and vitamin A, along with arachidonic acid, or taurine, and they need five times as much thiamine as dogs do. Also, your pup’s food typically contains more fiber, and this can also upset a cat’s gastrointestinal tract. Feed your cat in a separate room that your dog doesn’t have access to, e.g., feed the dog in the kitchen and the cat in the laundry room. Separate the cat’s feeding area from the rest of the house with a gate that the dog cannot jump over or crawl under. Feed your cat on a high shelf or counter. If these techniques are not successful at keeping the pooch away, consider getting a cat-sized crate or box into which the dog cannot fit, and feed your cat in the crate/box. Finally, if all else fails, install a pet door to a separate room, such as the laundry room, that is either too small for your dog to use or that is activated by a remote on your cat’s collar. Close the door to deny your dog access to the cat food, and monitor feedings to make sure that each pet eats its own food. So again, more often than not, cat-food-eating canines tend toward being overweight and may often suffer more gastrointestinal ailments because they eat the richer cat food. Diarrhea, vomiting and pancreatitis — which can be life-threatening — are all possible outcomes for either short- or long-term feeding of cat food to dogs. Kitten food, which typically has even higher protein and fat levels, is even less appropriate for dogs. And, again, older dogs and those with established medical conditions may be even more adversely affected by the higher protein and fat levels of cat and especially kitten food. In many stores where you would purchase pet foods, the commercial dog foods and cat foods are labeled and sold separately for a reason. We should not be feeding our dogs cat food — and we definitely should not be feeding dog food to your cat. It is possible that a dog could eat some cat food as a snack on occasion or even could steal a meal from the cat, but this is not something that you want to promote on a regular basis, because of the potential health problems discussed. Just Food For Dogs…and Cats! Have you ever wondered what was actually IN your dog and cat food? Or why are so many dogs and cats getting cancer? Yes, Cancer… 1 in 3 dogs get cancer. Is it the food? Probably. 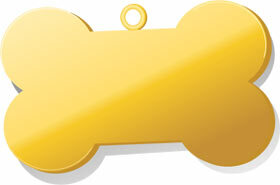 We have found an AMAZING company founded in California that makes human grade food for our fur kids! Please take a look at their story, and stop by their Manhattan Beach store. You will be impressed. That is a promise.